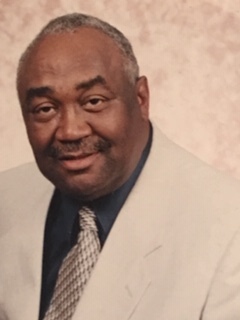 Albert R. Harris, 76, of Avon Park, passed away on Tuesday morning, November 27, 2018 on his birthday at his home. A native of New Orleans, Louisiana he had lived here since 2000. He retired from the US Army after 22 years of service, having worked for the Armed Forces Network. After retiring he served as the V Corps Sports Director for the Department of Defense. He lived with his family in Germany for 30 years, both while in service and as a civilian. In 1981 he received his Bachelor of Science & Associate In Arts degree from University of Maryland. He was a former teacher at the Bowling Green Youth Academy in Avon Park. He had served as President of Avon Park Estates. He was an all-around sports man, mentor and coach of many different sports. He was preceded in death by mother Vivian Harris, father Adam Harris Jr., brothers, Gerald and Michael. He is survived by his wife of 54 years, Marjorie Harris; three daughters, Jacqueline A. Billups-Harris, Avon Park, Angel Denise Morgan-Harris, Tampa, FL and Albertina Renee Hodo-Harris, Washington, DC; three sisters, Jeannette, Adrian and Gloria; brother, Jerome; five granddaughters & Reggie the beloved German Shepard. A funeral service will be held on Wednesday, December 5, 2018 at 12 noon with entombment following at Lakeview Memorial Gardens.